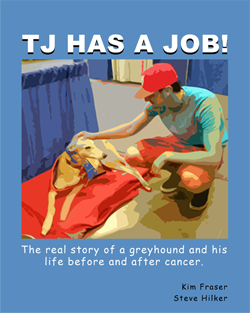 100% of every dollar raised by Greyhounds Rock goes to canine cancer treatment, research and support. Greyhound Rock team members donate their time and resources to ensure every cent goes to help the dogs. Cedric is a 8 year old male Pit Bull. Cedric had a very large soft tissue growth under his armpit. Learn how your donations to Greyhounds Rock helped Cedric and others like him. .... effective treatment, and an eventual cure, for canine cancer! 'The Other Coast' comic below was published on Sunday, December 29. In panel #3 you will see several names of dogs that we have personally loved and lost. Adrian Raeside, the artist who draws The Other Coast supports our work with Greyhounds Rock, doing what he can to help us raise money for canine cancer support and research. Adrian contacted us recently to get some names of dogs we knew who passed this year to honor in his comic. TJ is there ... along with Daniel, Asher, Angel, Hopper, Sassy, and Onyx. Thank you, Adrian Raeside! 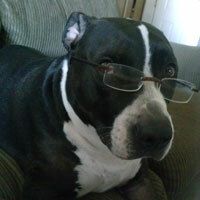 BTW- please visit our Memorial Page to see not only the above dogs but also Adrian's own Koko and Sakura.